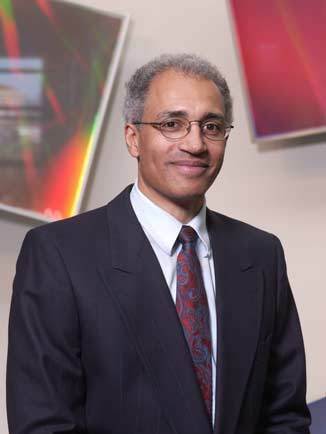 Professor Henderson is a nuclear engineer with research interests in magnetic and inertial fusion energy (MFE, IFE) reactor systems, the nuclear waste transmutation and fissile material characterization of waste, and neutral particle transport. In fusion reactor systems, he is involved in radiation transport and its application to the analysis of fusion reactor first wall, blanket and shield designs, and activation studies for the protection of reactor personnel during operation and maintenance shutdown periods. Current interests are in pulsed neutron activation due to the inherent pulsed operation mode of MFE and IFE reactors; time-dependent transport methods and approximations for particle transport within IFE targets; and steady-state methods which can be applied to neutron streaming within ducts and penetrations required for fusion reactors. Henderson is interested in the transmutation of nuclear waste by neutrons in the nuclear fuel cycle. Of interest are accelerator-based systems that are being readdressed by Los Alamos National Laboratory and national labs abroad. The active Delayed Neutron Non-Destructive Assay method is being pursued as a means of characterizing the isotopic fissile content of nuclear waste, fuel reprocessing, and fission reactor blanket material which contain various species of unknown amounts of fissile material. Various data analysis methods are being examined as candidates for the experimental data evaluation. This work is being performed in collaboration with Argonne National Laboratory.